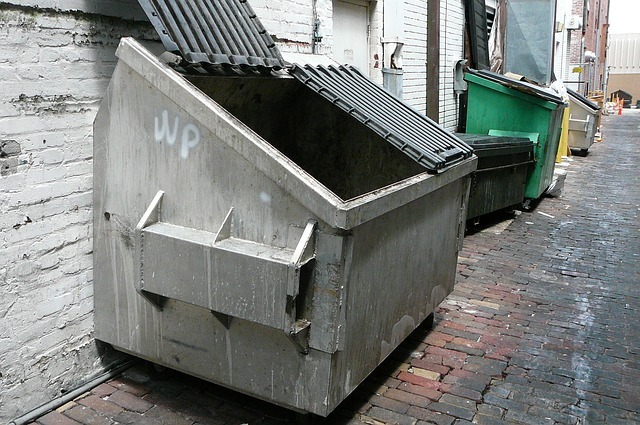 MANHATTAN (CN) – Shortly before empaneling a 12-member jury on Thursday, a federal judge ruled that prosecutors can drag a Dumpster that may have been blown up by the accused Chelsea bomber into court for the suspect’s upcoming trial. “The court grants the government’s request to bring into the 500 Pearl Street courthouse office a Dumpster which is a proposed exhibit in the trial,” U.S. District Judge Richard Berman wrote in a 1-page order. “The court is not ruling on how or whether it may be admitted into evidence at this time,” he added. Berman did not specify whether the Dumpster is the same one in which prosecutors believe Ahmad Rahimi detonated a pressure-cooker bomb on 23rd Street in Manhattan on Sept. 17, 2016, wounding 31 people and shattering windows as far as 400 feet away. Another pressure-cooker bomb in Manhattan failed to detonate, but two other explosives went off, without harming bystanders, at the Jersey Shore and a train station entrance in Elizabeth, New Jersey. On Monday, a panel of eight men and four women will hear opening arguments in the 29-year-old’s federal trial in connection with the bombings. Three women and one man will also sit with them as alternates. The diverse crew of 16 jurors remained standing after two days of grilling from Berman, prosecutors and defense attorneys seeking to weed out potential biases from the pool of 140 candidates. Since Rahimi denies having any connection to the Islamic State group, his attorney Matthew Larsen requested that Berman downplay any connection to the terrorist group. “We would like your honor to instruct the jury that there is no evidence that Mr. Rahimi is a member of ISIS, that there is no evidence that ISIS had anything to do with these charged offenses, and there is no evidence Mr. Rahimi acted in the name of ISIS,” Larsen said. Rejecting the motion, Berman said that may revisit the objection at trial. Seeking to ferret out bigotry, Berman asked whether any potential jurors had positive or negative opinions about Muslims or people from Afghanistan or Pakistan. One hand went up in the gallery after the judge asked this question. As Puerto Rico rebuilds itself from the shambles of Hurricane Maria, one candidate told the judge that she could not serve because she will be taking care of a family member from the battered island. “I have a cousin that I’m bringing over from Puerto Rico, and she’s very frail,” Lillian Jimenez said. “She’s coming in on the 12th. So, that might cause a problem.” Berman excused her. Before jury selection began, Rahimi’s attorneys requested a change of venue because of the notoriety of the case in New York City, but Berman denied that motion too because the case garnered national attention at the height of the 2016 presidential election. “By shifting this case, we will merely be shifting this case to another large media market,” the judge noted in May. Several of the candidates described have friends, family, or offices in Chelsea, the neighborhood targeted in the bombings. Others described personal tragedy related to the Sept. 11, 2011, attacks on the World Trade Center, only a short walk away from the lower Manhattan courthouse. Others candidates described losing family members in the attacks. Those touched by the Boston marathon bombings and the terror attacks at the Bataclan theater in Paris two years ago were also excused. As for the jurors chosen, Robert Simmons had two cousins in the NYPD, and Lenora Heins Allen has a veteran brother who is a corrections officer in Colorado. Rahimi, who sported a light-blue button-down shirt, dark pants, and a neatly trimmed beard on Wednesday, also faces separate charges in New Jersey in connection to a shootout with police officers shortly before his apprehension.